After a nearly 10-year hiatus, this stunning property has re-opened with a bang. 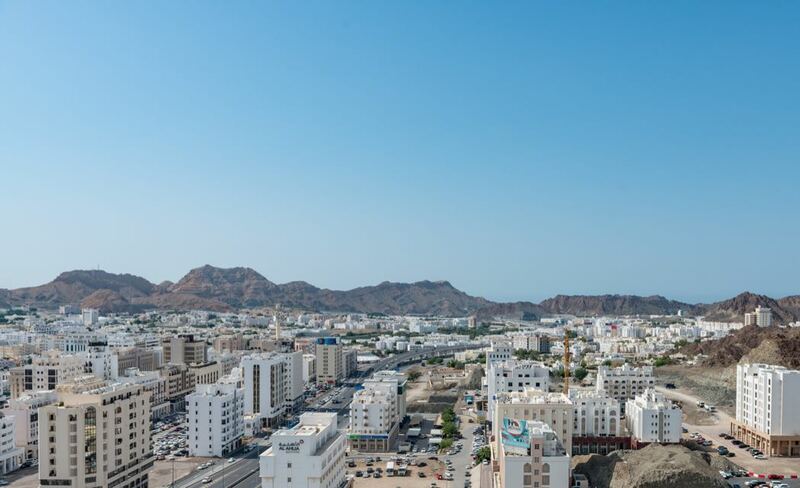 Located in Muscat’s Ruwi business district, the Sheraton has the notable distinction of being the countries tallest hotel. And while the exterior clearly shows it’s age, everything inside has been redone for the grand re-opening just a few months ago. 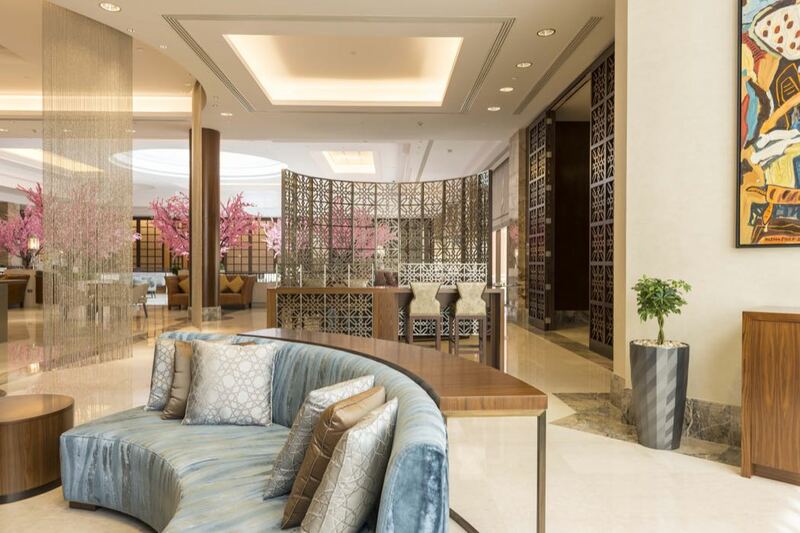 From the beautifully decorated lobby to the tranquil spa and outdoor pool, from the local flair in the rooms to the relaxing club lounge overlooking the endless mountains, this newly-revived spot has hit the ground running and has no plans on slowing down. We stayed in a junior suite on the 9th floor with gorgeous views of the nearby mountains; sunsets were particularly enjoyable to watch. The layout was what you may expect. 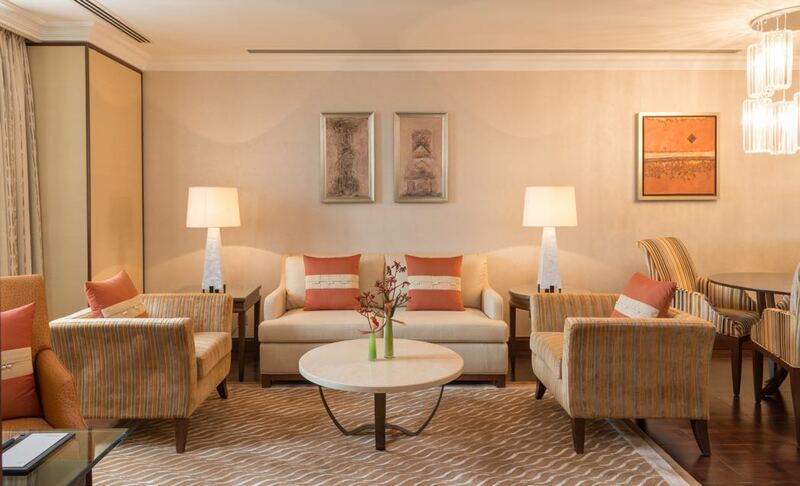 A casual sitting room is the first thing you see when you enter the suite – this includes a work station, a couch, a coffee table and a TV. The bedroom itself features a king size bed with a wooden, pop-out television stand at its foot. Given the design of the room, this feature was a great way to both conserve space and add a bit of flair – it also allowed for an additional work station in the corner of the bedroom. Just above the head of the bed was a piece of antique Omani jewelry which gave a nice sense of local authenticity. Off the bedroom was a tastefully designed bathroom, which included a full soaking tub, a double-vanity, a walk-in shower (with a marble bench) and a separated toilet area. 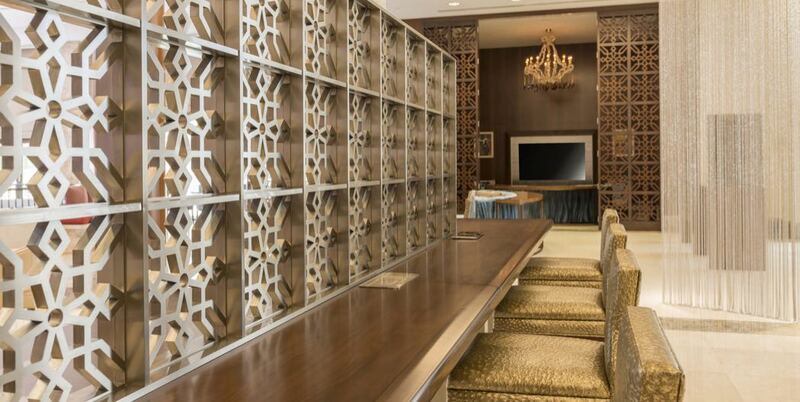 Beyond the great design, the Sheraton Oman also went above and beyond “brand standards” by not offering the typical “Shine” amenities. The only noticeable downside was the lack of a half-bath in the “lounge” portion of the room, but other than that it was well designed and comfortable. This newly-designed oasis features both an indoor and outdoor pool, together with a spa. Inside, the pool itself is quite simple yet elegant. Around the pool are padded chase lounges, which allow for optimal relaxation. Just behind the pool are a pair of heated day-beds – the perfect spot to dry off or relax before jumping into either of the two elevated jacuzzis. From there you’ll walk down a long hall way to the changing rooms, which are far and away the best part of the facility. 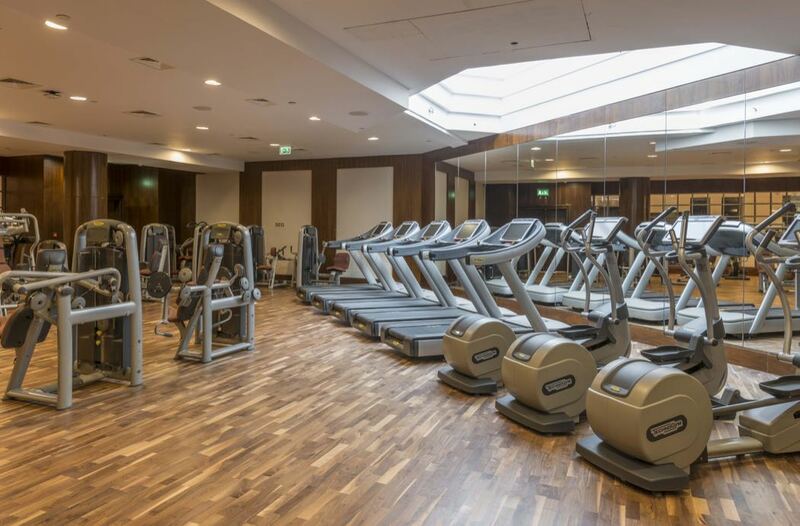 Not only do they boast a steam room and sauna, but they are incredibly elegant. 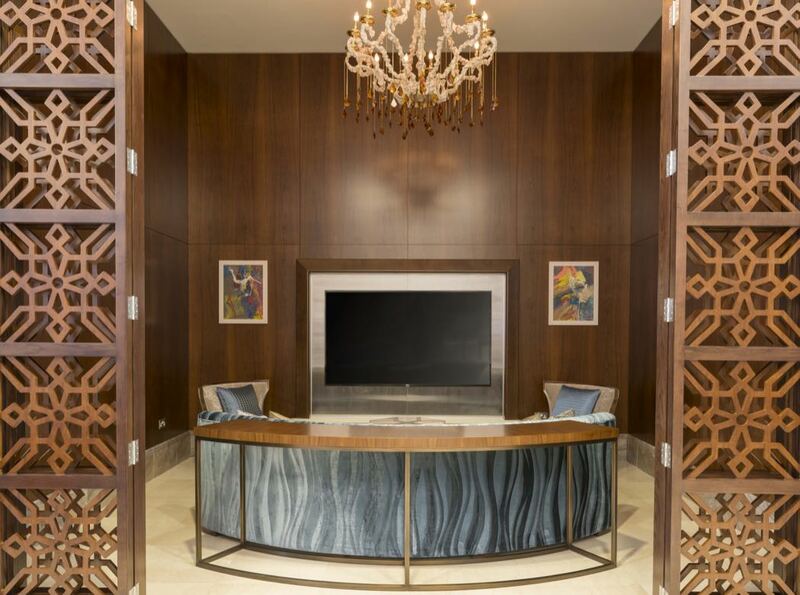 White marble and dark wood finishes everywhere, coupled with a high ceiling and fantastic chandelier, this space offers the true zen you’re looking for. There is also a row of showers which each feature four shower heads and jets that can be used individually or together. And no, you shouldn’t be embarrassed to sit under that glorious cascade of multi-pressured water for 30 minutes or more. Outside, the pool area features several fountains and plenty of canopies to deliver shade from that hot desert sun. You’ll also be served by the wait-staff from the adjacent indoor restaurant, making your time at the pool both relaxing and delicious. 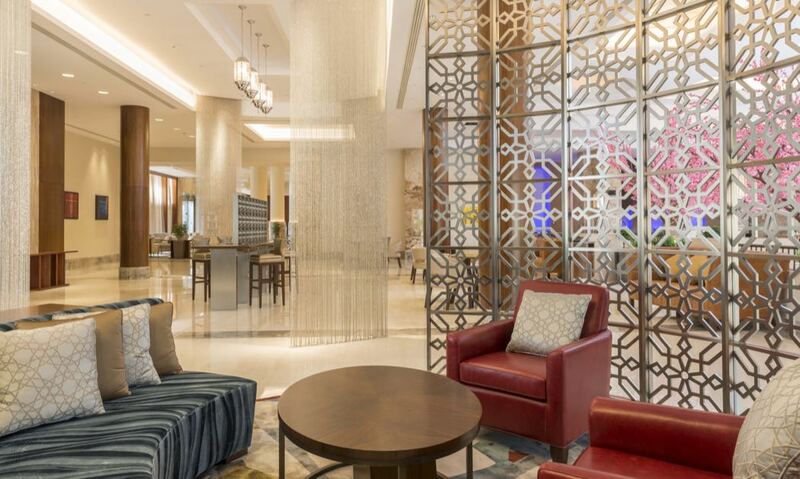 The Sheraton Oman has two main dining options, though more food-and-beverage offerings are in the works for the coming months. 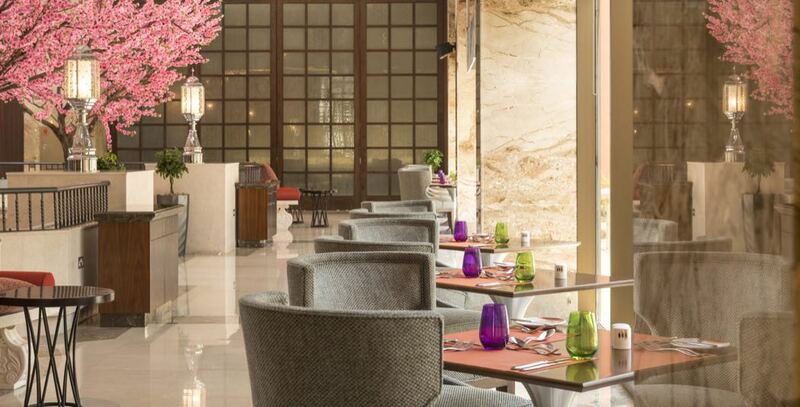 Currently, you can chose to eat at either the Courtyard buffet – they’re open for breakfast, lunch and dinner – or at the Asado South American Grill (which is only open in the evenings). The breakfast spread at the courtyard each morning however, should put aside any need you may have for lunch. The spread is absolutely amazing and covers traditional sweet and savory options from around the world. You can enjoy your French crepes with traditional (and pure) Canadian maple syrup; you can enjoy Arabic bread with Humus, salad and babaganoush; you can have the chef make you an omelet or eggs any style, together with hash browns, baked beans, sautéed mushrooms and tomatoes; or you can dive into any of the Asian dishes, such as congee, fried rice, chana masala or shrimp dumplings. Not to mention, the seemingly endless spread of cold cuts, smoked fish, breads, cheeses and pastries. The freshly squeezed juices were a great way to wash it all down as well. 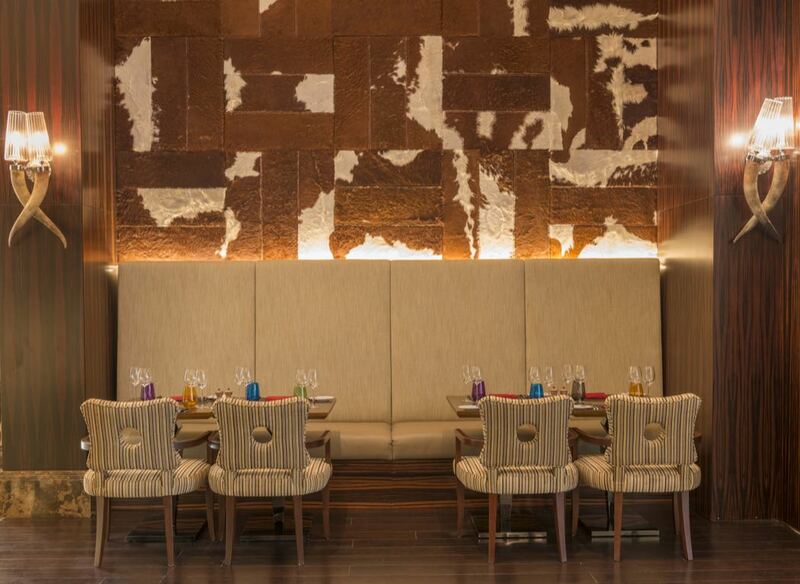 For dinners, especially if you’re looking for an a-la-carte option, Asado is the place to be. Their selection of steaks from around the world, coupled with their numerous fish offerings make this a perfect option for anyone in your party (except for the vegans – sorry!). The design was quite inviting as well. 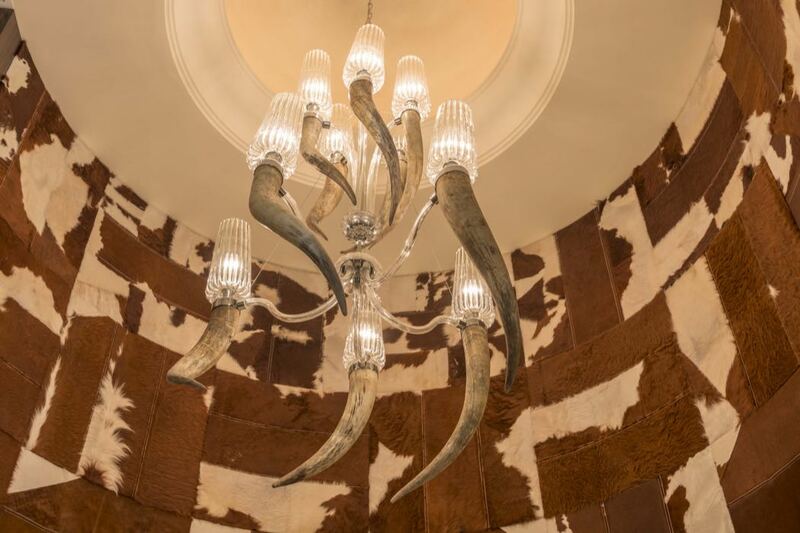 Inside, the walls are covered with cowhides and the wall sconces are all horn-shaped. The horseshoe bar acts as a showcase in the center of the dining room and really adds a wow factor. If it’s not too hot however, eating outside is a beautiful option; tables are set just beside the pool area allowing for the calming atmospheres of both the pool and the restaurant to converge on a perfect dining experience. Whatever you do, do not let the name “Sheraton” fool you. While the brand isn’t associated with the highest levels of luxury around the world, this particular property is a clear exception. 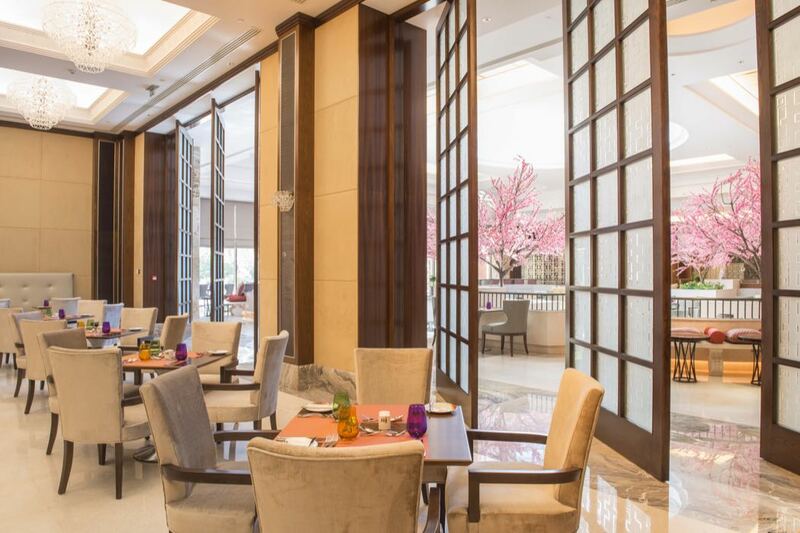 Their decor is as ornate as it is tasteful; their staff is as charming as they are eager to please; their food is as delicious as it is abundant; and their rooms are as modern and stylish as they are functional. 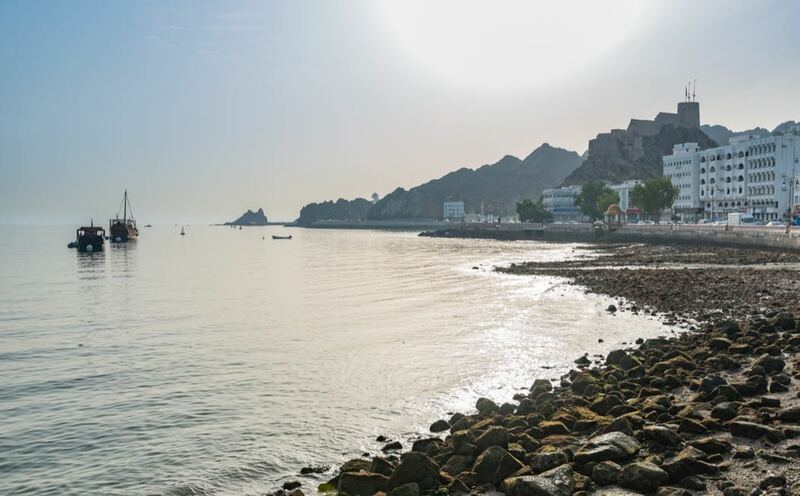 If Oman isn’t on your list of countries to visit yet, it absolutely should be – it’s authentic, it’s delicious and it’s naturally stunning. 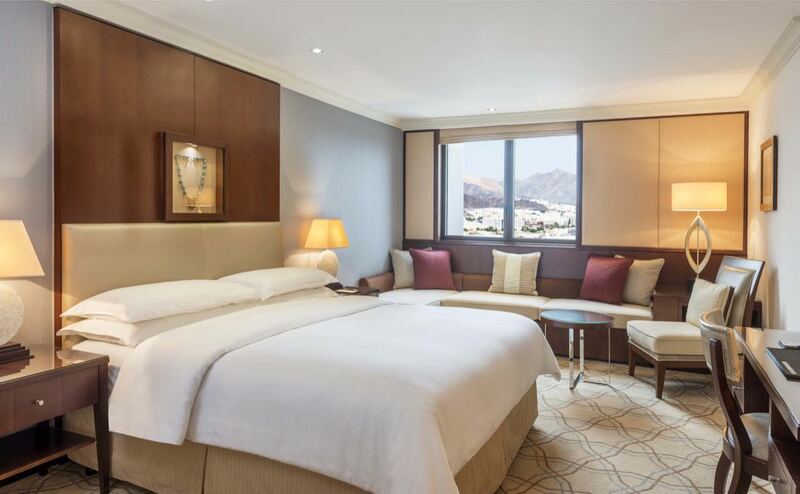 And don’t forget… For the nights you spend in Muscat, the Sheraton is the place for you.